Roger Federer finally clinched an 18th grand slam title by winning a five-set thriller against Rafael Nadal to become Australian Open champion. Federer and Nadal produced one of the finest contests their rivalry has ever seen but it was the Swiss that prevailed, winning 6-4 3-6 6-1 3-6 6-3 after three hours and 38 minutes on Rod Laver Arena. 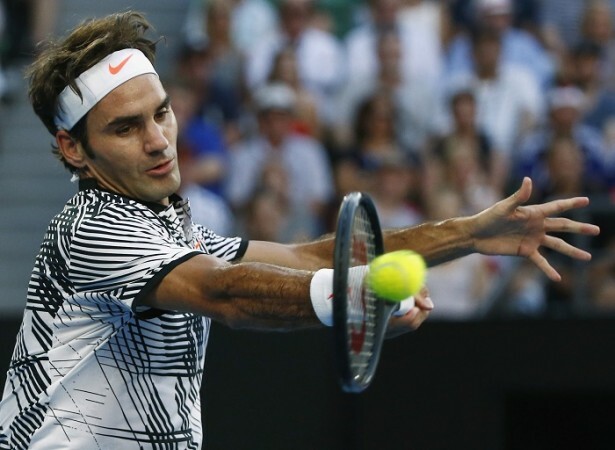 It means Federer has secured his fifth Melbourne crown and a first grand slam success since Wimbledon in 2012. I don’t think that we could have thought a few months ago when we were at his academy that we would be here in a final. Tennis is a tough sport and we don’t have draws but if I could have shared it today with Rafa I would have taken a draw. All out aggression from Federer proved decisive as he defeated Nadal in a Grand Slam final for just the third time in nine contests. He had lost all three previous battles with the Spaniard at Melbourne Park – including a heartbreaker in the 2009 final – and had not beaten Nadal in a major since 2007. But Federer righted those wrongs with a sublime display on Rod Laver Arena Sunday night, marking his 100th match at the Australian Open in style. It was an iconic contest and it deserved five sets as Federer prevailed in three hours and 37 minutes in an electric atmosphere on Rod Laver Arena, rallying from a break down in the fifth set to win the last five games. The tears of joy flowed freely for Federer as the electronic review ruled his forehand winner on match point to have caught the line. At 35 years and 174 days, Federer is the oldest Grand Slam champion since Ken Rosewall, who won three major titles in 1970 and ’71 after celebrating his 35th birthday. But it must have seemed a long way off for the Basel native last July, when he was forced to announce that he would be missing the remainder of the 2016 season in order to fully repair his body after undergoing arthroscopic left knee surgery in February. He is the third man in history to win five Australian Open titles, adding to his victories in 2004 (d. Safin), 2006 (d. Baghdatis), 2007 (d. Gonzalez) and 2010 (d. Murray). At No. 17 in the Emirates ATP Rankings, he is the lowest ranked Australian Open champion since No. 18 Thomas Johansson won the title in 2002.